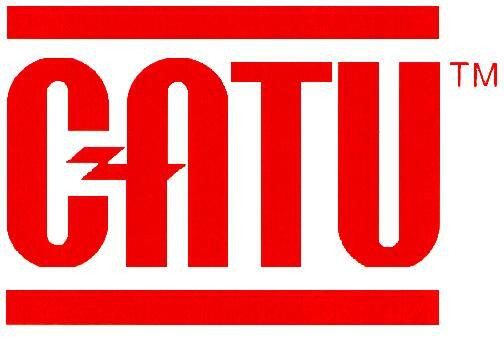 ➡ View below our ranges of Electrical Safety Equipment for working on underground cables and overhead lines at low, medium and high voltages – we are the largest UK stockist of CATU Electrical Safety Equipment for working at LV, 11kV, 33kV, 66kV, 132kV and up to 400kV. 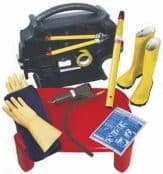 We provide electrical safety equipment to substation engineers, cable jointers, overhead linesmen and utility workers with PPE and electrical safety equipment including insulating gloves, voltage detectors, insulating matting and portable earthing to ensure worker safety when carrying out maintenance on LV-HV switchgear, substations, cables and electrical equipment. 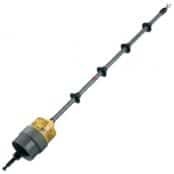 T&D distribute the most extensive range of High Voltage Electrical Safety equipment to ensure safe working and protection against electrocution during the installation, jointing, terminating and testing of medium/high voltage power cables and electrical equipment including switchgear and transformers. A complete range of HV instruments including voltage detectors, phase comparators, short circuiting portable earthing and substation electrical safety equipment used for maintenance and repair of cables, connectors and terminations of transmission or distribution cables, power lines and switchgear in high voltage substations. 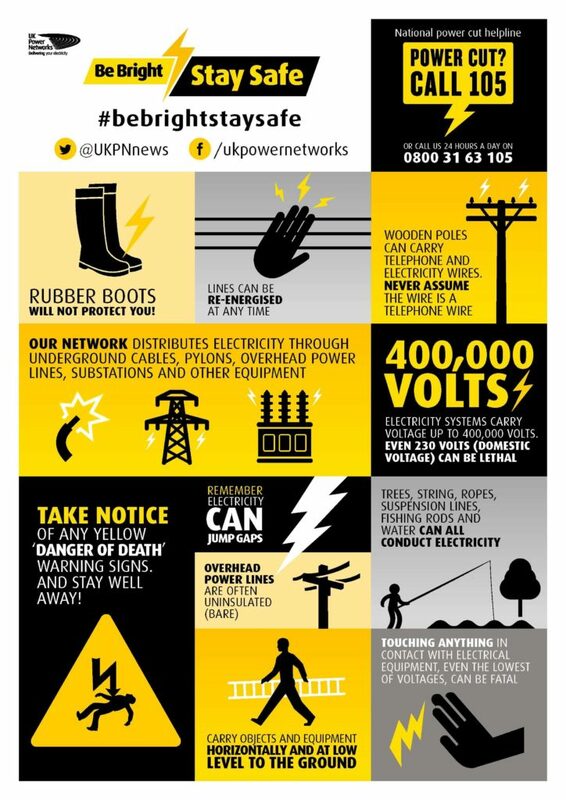 This Electrical Safety infographic is a great resource for outlining some of the key safety messages to workers employed in the electrical utility industry – image courtesy of UKPN, a UK Distribution Network Operator and their #BeBrightBeSafe campaign. 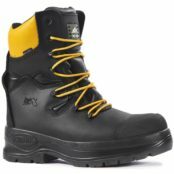 Where utility workers are required to work on or in close proximity to Live LV conductors insulating gloves according to Class 1 (7.5kV) BS EN 60903 standard are generally specified for electrical safety and protection – gloves should not be the sole level of protection for working on Live LV cables or conductors. Class 1 gloves are issued to cable jointers and substation personnel required to operate air-break switch disconnector handles or link and fuse operating rods on the HV Electrical System – it is recommended that a leather protective outer glove should be used while operating on the HV System to prevent premature damage to the insulating glove. Gloves should be replaced before re-testing is required. 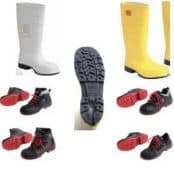 See also insulating boots to provide protective footwear to utility workers involved in substation, overhead line and cable installations at LV MV HV – a full range of protective footwear for high voltage insulation is available. To enable the inspection, testing and commissioning of all Low Voltage electrical equipment and power systems – this includes electrical insulating matting for use in front of LV switchgear, insulating rubber gloves (Class 0) and wall mounted life saving kits.